I was very lucky to be given a £200 Liberty London gift voucher from Lyst for best dressed at London Fashion Week Day 3 last season! Liberty London is one of my favourite department stores so I had a hard time deciding what I wanted to spend it on. 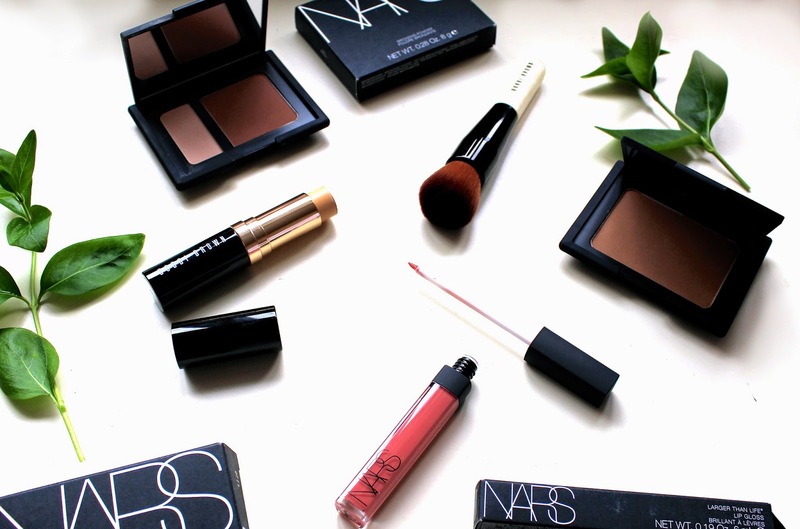 I ended up choosing to spend most of it on these beauty products from Nars and Bobbi Brown. Nars Laguna is my favourite bronzers and I have been using it for a few years now so that was an easy first choice. I decided to try the Nars contour blush for a subtle way to enhance my cheek bones and I also ended up buying this pink lipgloss. I have tried quite a few foundations in the past, but this Bobbi Brown foundation stick really appealed to me as it gives a more natural look and is particularly good for dark circles which can be blended using the full coverage brush. I have been using these beauty products regularly for over a week now and I would really recommend them if you haven't tried them already! Lucky girl! Nars and Bobbi Brown are definitely great choices! Cool! Love all of your pictures so much! Full of optimizm !Great post! I love your haul, everything looks soo beautiful. I'm so jealous right now! So cool that you won for being best dressed! Good picks! Ah, a gift voucher to spend on makeup, such a dream. I think you picked some great stuff there! I love nars, such great products! Lucky you!! Love Nars but they are freaking expensive!! Thanks for the visit. Lucky girl! Nars and Bobbi Brown are great beauty lines. Lucky you. I love your selection of products. very good use of your gift! some products are just timeless! 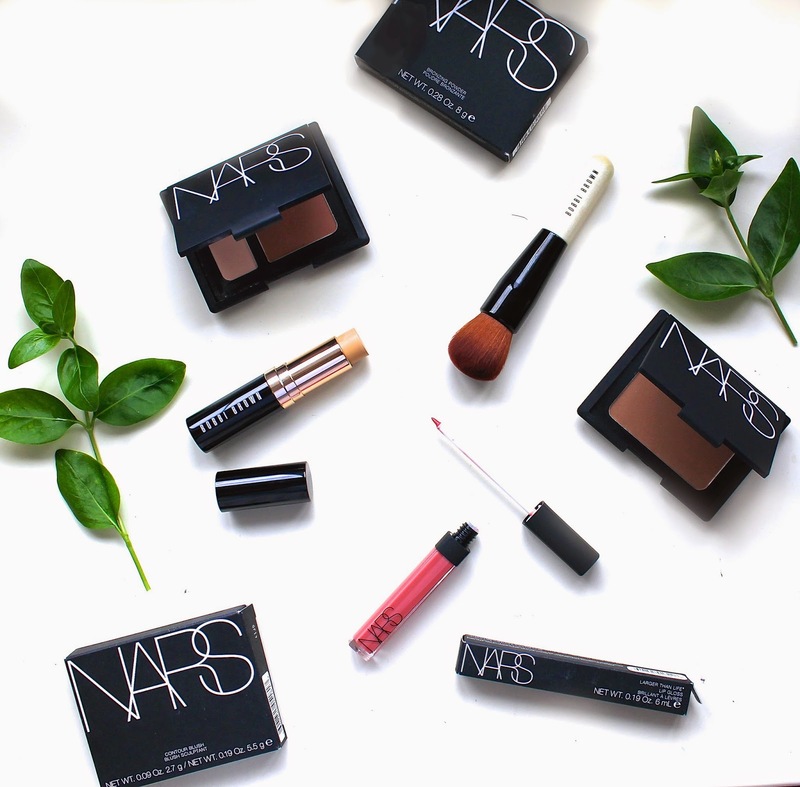 I have always wanted to try NARS stuff! I like Liberty very much, too and Nars as well! Wow, you were chosen as the Best Dressed, congratulations! To have such a voucher is great, Nars products are always so good quality ones! I never tried the eye shadows, I think I will now! Great blog post and really helpful...... and your blog are very interesting and inspiring.